Our guests in Song Saa are touched by the work we do with our local communities and get involved in different levels; one of them is the “Pack for a Purpose” initiative that has helped us reach out to over 3000 people in the Koh Rong Archipelago and provide more than 40 kg worth of school supplies, dental hygiene supplies, sports equipment, and clothes during the first several months of 2017. This 24th of April, Song Saa Collective held an educational workshop in the village of Koh Rong Sanlom, in the Koh Rong Archipelago. 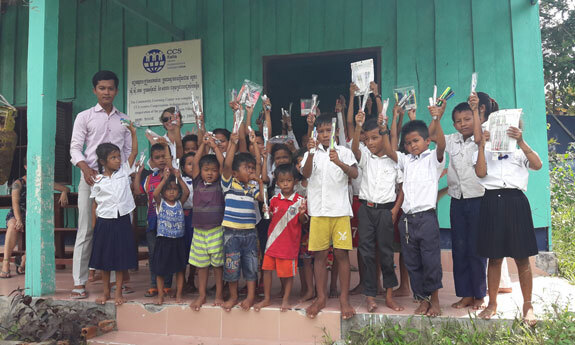 The children who participated in this activity received toothbrushes and toothpaste that encourage a dental health culture, and pens to support their education. These supplies came from our generous guests who chose to Pack for a Purpose. 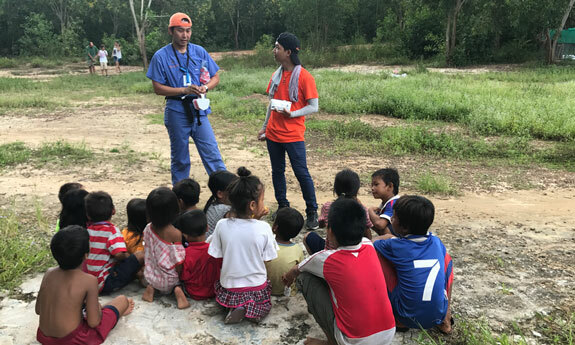 More hygiene supplies were used as part of our International Medical Relief (IMR) mission held in the first week of August, where 31 medical staff coming from North America went on a five-day operation throughout the Archipelago to give medical assistance to those in need. We also took this opportunity to hold workshops on dental care and hygiene with resources obtained from our Pack for a Purpose donations.